“Dr. Spangehl's effortless guide to brilliant health”. 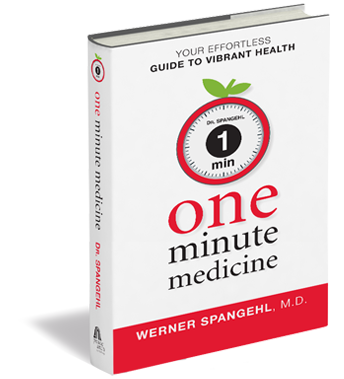 One Minute Medicine is a book about making lifestyle changes that improve health outcomes. It draws on author Dr. Werner Spangehl’s two decades of clinical experience in family practice. 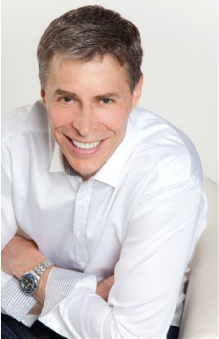 Dr. Werner Spangehl is a Canadian family physician who was born in Regina, Saskatchewan. He studied biology and medicine at the University of Saskatchewan, and then completed an internship at St. Joseph’s Hospital in Toronto. Dr. Spangehl has a full service family practice in White Rock, British Columbia, which includes maternity care, hospital care and an outpatient practice with a chronic disease management focus.